Stocking a variety of products from your basic essentials such as bread, milk and loo roll to more luxurious products, a large range of scrumptious jams, preserves and ready meals produced by The Dolphin. 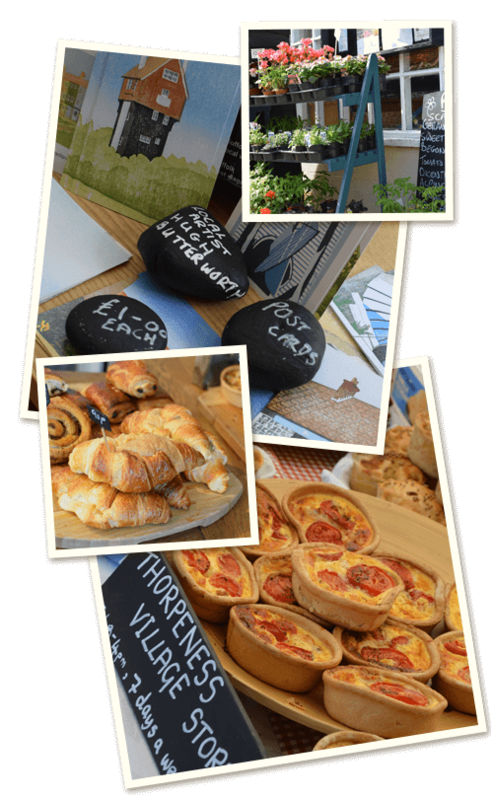 The aim of the Shop is to provide a much needed service to the community which supports local producers and suppliers whilst at the same time being fully sustainable. Where possible we try to source organic and environmentally friendly products. We also sell postcards, greetings cards and stamps and have recently started stocking a small selection of gifts – this proved very popular over the festive season for those last minute purchases as did our ‘Build your own Hamper’ offer. Our list of some of our favourite local suppliers. If you are a local producer and are interested in selling via Thorpeness Village Store, please get in touch.